The 12 month Shop Your Wardrobe program has a very deliberate structure. Unlike other downloadable programs, you don’t receive all the information at once – it is provided to you weekly, over the course of a year. We’ve deliberately designed the program this way so you aren’t overwhelmed with a a huge volume of material all at once. The material is provided to you each week in manageable chunks – making the program very doable. 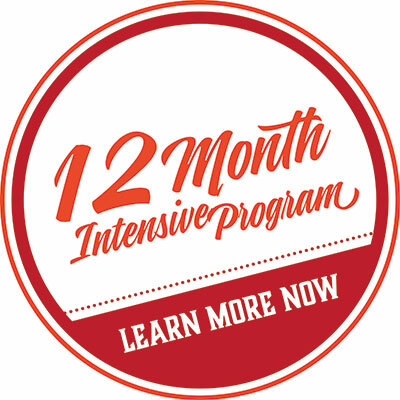 The 12 month program is organised into 12 distinct themes. Why? Our philosophy is there are many reasons why women overshop or don’t shop well – there is no single reason why women have a problem with shopping. So, My Year Without Clothes Shopping is designed to address the multiple and various reasons why women don’t have as healthy a relationship to shopping as they could have. There are emotional and psychological issues at play. There is an emotional thread that runs through shopping for many women, and these issues drive shopping behaviour in a way that is sometimes unconscious. Our program addresses these issues specifically in Months 4 and 8. There are practical reasons why women don’t shop well. Some women have a multitude of clothing, but they still have that “I have nothing to wear!” experience when they open their wardrobe doors. Our program addresses these issues specifically in Months 2, 3, 5 and 11. There are issues to do with individual identity and expression at play. Some women don’t feel good about themselves on a consistent basis, and aren’t sure how to bring their personality more into their lives or their outfit choices. Our program addresses these issues specifically in Months 3 and 6. There are financial issues at play. Some women haven’t examined their relationship to money too closely – perhaps being fearful of what they may discover about the money patterns they have developed. Our program addresses this issue specifically in Month 7. There are organisational issues in the mix. We do not wear clothing we cannot see – if our clothes are badly organised or worse, lying in crumpled heaps in dark corners of our wardrobes, then we don’t turn to them. Our program addresses this issue specifically in Month 10. We don’t know how to shop consciously. We aren’t aware of the full range of choices at our disposal to bring new items into our wardrobes, and ways to feel good about the shopping that we choose to do. Our program addresses this issue specifically in Months 9, 11 and 12. 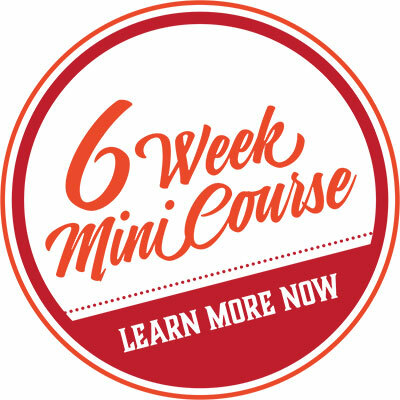 Each Month has 4 or 5 Weekly Lessons that come straight into your Inbox. There are 52 Weekly Lessons in total. You’ll also receive the Weekly Resources which contain illustrations of key concepts from the Weekly Lesson and exercises and activities that encourage you to take action. You can see that we have put a lot of thought into the structure and content of the program. A program of this quality and magnitude takes countless hours of expert effort to be pulled together, and you’ll benefit from that when you sign up to join us here! “After only one week, I am already filled with wonder about how this challenge is affecting me”. “Loving putting together the capsules. I… have so many clothes that I can put together a few [capsules]. So now it’s about editing [what I have]”. “Jill, I am loving this challenge. And it is a challenge for sure. Old behaviors are rearing their heads and I’m always surprised at how ingrained they are -when reason and resolution intervene and I can look at it more objectively”. “Thanks for all your comments, Jill. I look for your comments, and feel personally very encouraged by you. I love the feedback; you are a great support group all by yourself! Makes doing this challenge via your program worthwhile. And, the reality is I never would have done anything like this had I not come across your website”. “I have actually found a sense of freedom. I still like looking, but it’s nice to not HAVE to buy”. “I use shopping to stave off isolation, boredom and loneliness. The challenge of breaking my habit of clothes shopping popped up just when I needed it. You wouldn’t think that doing without clothes shopping would occasion this sort of depth of emotion, would you? It does”. “What I really do like is that I am actually enjoying the fact that I have a lot of wonderful things – maybe just the right amount, in fact. I have at least one something to wear for every occasion, and by changing up the mix of pieces, do in fact have everything I need”. This comment from a member who was being acknowledged by her community with an Award. It brought up some interesting issues for her – “My clothes and ability to dress are not being awarded, but me and what I’m trying to accomplish. That [insight] gave me the courage to DARE to not buy an outfit. . . Dressing well, expressing who I am and letting what’s inside (me) shine through in the expression of my dressing has NOTHING to do with shopping. Simple, logical, but totally evaded my thought processes my whole life – until now. So thank you, Jill, for your marvellous work”. This comment from a member who recently had to have a professional photograph taken; she shared how she would normally have used this as an opportunity to buy an entirely new outfit – “The whole thing taught me – it’s really not about the clothes – totally. That outfit worked not because it was new – but because they were flattering. They were me in every sense of the word. That’s why they worked. Not new – but me. Aha! Light bulb moment here for sure”. “Thanks, Jill, for having this brilliant idea, and sharing it with us”. It’s a compelling picture, isn’t it? So, come join us!